Karimabad (Urdu: كريم آباد‎), formerly known as Baltit, is the capital of Hunza District, in the Gilgit-Baltistan province of Pakistan. The Guardian ranked it as one of the five "Best Tourist Sites" in Pakistan. Karimabad was named in honour of Prince Karim Aga Khan, the current spiritual head of Shia Ismaili Nizari community, though locals often still refer to Karimabad by its older name Baltit. The vividly turquoise waters of the Attabad Lake are 9 miles north of Karimabad. Karimabad town, located on the west bank of the Hunza River, is in the Northern Areas of the Pakistan, in a valley which is at 8,200 feet (2,500 m) elevation. The town is made up of stone walled steep sloping large terraces. The town was a caravan halting place for people who were traveling through the Hindu Kush mountains to the Vale of Kashmir. It is set amidst snow clad mountain peaks of Rakaposhi (altitude of about 25,000 feet (7,600 m)), and glaciers like the Ulter Nala as a backdrop, and deep gorges. Access is by hill road from Gilgit. The floral vegetation in the wild consist of roses, pansies, lilies, zinnias, and cosmos, along with trees such as apple, apricot, walnut, mulberry, willow, fir, and poplar trees. The fauna recorded in the village consist of ibex (Capra (genus), duck, red-striped fox, snow leopard (Panthera uncia syn. Uncia uncia), markhor (Capra falconeri) (wild goat), Marco Polo sheep (Ovis ammon polii), and yak (Bos grunniens and Bos mutus). Karimabad, then known as Baltit, was originally under the monarchic rulership of the Mir of Hunza, The Land and . karimabad the Baltit Fort was built at that time to function as a palace. The locality was known for its slave trade and as a caravan resting stop. Baltit served as the capital of Hunza valley for over 750 years, until the middle of the 20th century. After Pakistan became an independent country in 1947, the Hunza province controlled by Mir joined Pakistan of its own will. Earlier, the capital had been shifted from Balit to the lower part of the hills to Karimabad where new buildings were erected and it became the new capital. The town has developed into a tourist place, following the development of the Karakoram Highway, with a number of shopping complexes dealing in handicrafts, hotels, restaurants, and travel agencies. Both Baltit Fort and Karimabad village received the World Award of Tourism in 2000 when Indonesia, Australia, India and Britain and other countries competed. The population of the town was more than 5,000 in 1992. It had four clans of herdsmen tending livestock. 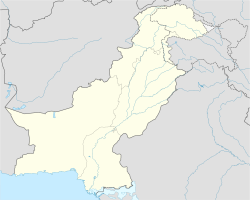 Out of a population of 16,000 (65,000 in the valley) as of 1995, most of the residents of the town and the Hunsa valley are Shiite Ismaili Muslims. Literacy in the valley is as high as 90% as against a national average of 58 percent. Residents of the town say that all young people of the town below the age of 30 are literate. There was a high school in the town in 1986 itself when the population of the Hunza valley was 30,000. The town has received substantial assistance from the Agha Khan Foundation, a charitable institution, which is involved in infrastructure activities such as roads and water supply, as well as in establishing educational institutions and health centres. There are also schools for women such as the Aga Khan Higher Secondary School for Girls, and the Hasegawa Memorial Public School run by Japan, which are popular for girls. The economy is dependent on agriculture with crops such as rice, corn (maize), fruits, and vegetables grown under irrigated conditions. The fort's construction and design were influenced by those in Tibet. Baltit, which was the original capital of the Hunza valley, was established in the 13th century. A fort was built, in the backdrop of snow clad mountains, in the 17th century when Mir Ayesho II's (great-grandson of Girkis, a legendary ruler) wife, the daughter of the Balti ruler, came to live in Hunza. The fort was built in Balti-style by the artisans brought by her. It was refurbished during Ayesho II's son's rule. Mir Nazim Khan got it refurnished with wall paper, curtains, fireplaces, balconies, and windows with tinted glass. The exterior of the fort was given a white wash. He also built a raised platform in the terrace to hold meetings of the council. Once the capital was moved to Karimabad, the fort was stripped of all its interior furnishings and decorations. Nazim Khan's son had moved to Karimabad in 1945.It was a deserted structure in 1984. However, between 1990 and 1996 the fort was completely rebuilt with all structural elements of the old fort to its original plan taking earthquake factor into consideration. The fort presents a view as if it has been newly built but retains all the original features, and commands a scenic view of the Hunsa valley. Some of the rooms in the fort have exhibits of dresses and pictures as also some ancient vessels and furniture donated by the local people. The Queen Victoria Monument is erected on a rock face at the rear end of Karimabad. It can be accessed only by trekking for about an hour passing through irrigation channels, a polo ground, an old watch tower, and a narrow passage strewn with rocks. It is at the base of the rock face and was built by Nazim Khan; in the local Burushaski language it is known "Malikamu Shikari" (ma-li-ka-mu shi-ka-ri). Ultar Nala water channels (seven channels flowing towards the west and five flowing eastward) from the head-works on the nala taking off at different levels are utilized for irrigation, and also as tourist attraction to walk along their route for enjoying the scenic beauty of the Hunza Valley. Some channels pass through the Karimabad town. The water flowing in the channel is also attractive as it has velvety colour caused by the minute content of fine mica particles. ^ Windsor, Antonia. "Karimabad". Encyclopædia Britannica. Retrieved 14 November 2015. ^ a b c d e f g "Karimabad". Encyclopædia Britannica. Retrieved 14 November 2015. ^ a b c Kocour, p. 40. ^ Camerapix 1998, p. 132. ^ a b c "Introducing Karimabad (Baltit)". Lonely Planet. Retrieved 14 November 2015. ^ Naureen 2002, p. 69. ^ Ehlers & Kreutzmann 2000, p. 97. ^ a b "High up on a Pakistani mountain, a success story for moderate Islam". Washington Post. 22 July 1995. Retrieved 14 November 2015. ^ Ahmad 1986, p. 148. ^ "Baltit Fort". Lonely Planet. Retrieved 14 November 2015. ^ "Queen Victoria Monument". Lonely Planet. Retrieved 14 November 2015. ^ "Channel Walk". Lonely Planet. Retrieved 14 November 2015. Ahmad, Asghar (1986). Pakistan tourism directory, '86: everything about tourism. Holiday Weekly. Camerapix (1998). Spectrum Guide to Pakistan. Interlink Books. ISBN 978-1-56656-240-9. Ehlers, Eckart; Kreutzmann, Hermann (2000). High Mountain Pastoralism in Northern Pakistan. Franz Steiner Verlag. ISBN 978-3-515-07662-3. Kocour, Ruth Anne. Walking the Warzones of Pakistan: One Woman's Journey into the Shadow of the Taliban. Lulu.com. ISBN 978-1-4834-3348-6. Naureen, Mujahida (2002). Tourism in Pakistan: Problems and Prospects. National Institute of Pakistan Studies, Quaid-i-Azam University.